After nearly a month of in-depth research to understand the recruitment processes of Utah State University Eastern, it became time for me to look into the recruitment tactics for some of Utah’s fastest growing colleges and universities. Using my sister’s name, Utah State University Eastern, Utah Valley University and Southern Utah University received requests for information about program and admission details. The information received about my sister was that she is a high school sophomore looking to gain information before making the important decision of where to attend college. Surprisingly, the responses were all similar. Three schools and three email responses. To its credit, USU Eastern was the quickest to respond. Offering a link to the admissions and program details. Along with that, a contact was given to request further information if it was necessary. The link directed straight to a list of offered programs and the degrees available within each department. The information was thorough and helpful to any aspiring student. They would know exactly what lies in-store for them at USU Eastern. UVU was also quick to respond but, the information given was somewhat under- whelming. Similar to USU Eastern, a name and contact information was given, but that was all I received. There was no direct information as to what the campus of UVU had to offer or a list of pro- grams available to prospective students. UVU is a large and popular school with a lot of programs available to students. Not giving students this information seems like a strange and ineffective recruitment tactic. SUU was the school that took the longest to respond. After a few days of waiting, I received an email from the admissions office respond- ing to my inquiry about the university. The information Eastern, a name and contact information was given, but that was all I received. There was no direct information as to what UVU had to offer or a list of programs available to prospective students. UVU is a large and popular school with a lot of programs available to students. Not giving students this information seems like a strange and ineffective recruitment tactic. SUU was the school that took the longest to respond. After a few days of waiting, I received an email from the admissions office responding to my inquiry about the university. The information received from them was also not informative. It gave me the link to the main website and, yet again, a contact for further questions. SUU may and itself in a different boat given how much information that is sent through mail. Two editions ago I spoke with associate physics professor David Kardelis, in that interview we spoke about the amount of recruitment material his son received from SUU. If that is any indication, the information has only started to come my way. state. 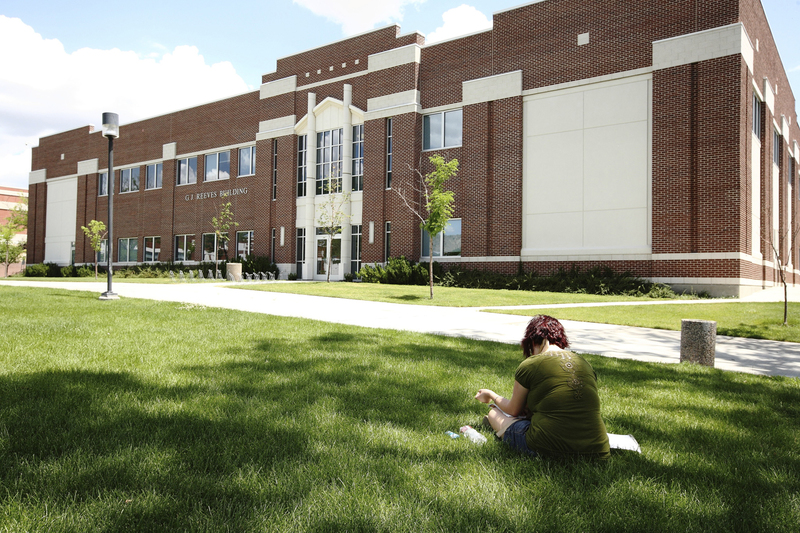 UVU grew nearly 10,000 new students in six years. SUU has also grown exponentially. While SUU is a smaller campus, they have seen a growth of nearly 2,500 students in the same time span. USU Eastern has held steady, with a minimal drop of 235 students. After doing this investigation, I got a peek into the information that students receive when they start looking toward their future. USU Eastern was informative in the initial response, more so than UVU and SUU. The next steps are crucial. Making the decision to attend college and the decision of where are concepts to consider. The more students gain information, the more likely they will become Eagles and join students at USU Eastern.